After decades of searching, a Michigan woman's quest to find her father is now over. 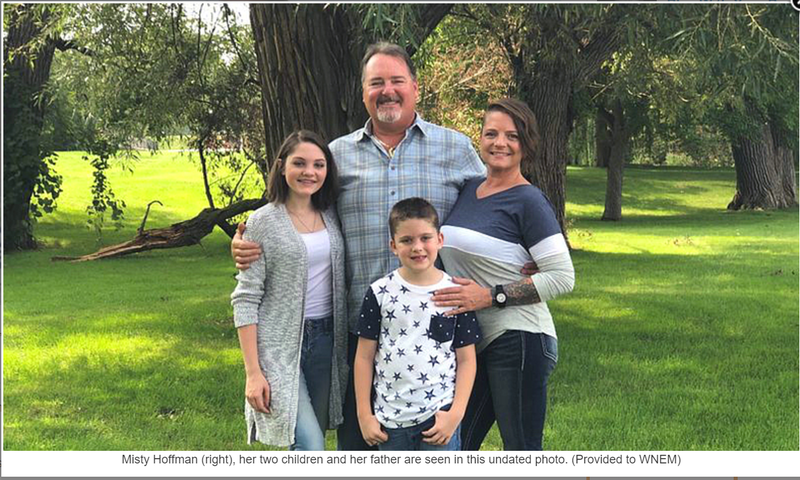 It turns out, Misty Hoffman had his name right, Jeff Harris, but she hadn't found the right one until last week. For years, Hoffman’s only family were her two children and their dogs, but she always felt part of her story was missing. “They have been there and witnessed how hard it's been for me to not have a family," she said. Growing up, Hoffman’s mom was incarcerated and her dad was unknown. Her hunger to find him was immeasurable. After questioning her mother for years, she finally received three names, but none of the three she had contacted were a match. A few weeks ago, her friend encouraged her to do a DNA kit. Last Tuesday, that life-long question was answered. “This makes me emotional,” Hoffman said. She received an email, opened her matches and what she saw was something she had waited more than 30 years for. “I felt like my prayers had been answered,” Hoffman said. Two days later she drove from Saginaw, Michigan to Chicago to finally meet the man she had been wondering about since the age of 6. “This was God showing itself to me in my life," she said. "I feel like I got to experience a real miracle." Her dad Jeff Harris is thrilled and Hoffman couldn’t agree more. “All of the love has been really overwhelming,“ she said. "I feel like I’ve won the lottery of people." Not just with her father, but also with her three new brothers, uncles and grandmother. All of whom are characters in Hoffman’s latest chapter. “I guess I have to find a new way to word my story because how I've always said it doesn't apply anymore,“ she said. Hoffman’s dad came to Saginaw this weekend and got to meet his first and only grandchildren, Drew and Natalie. “This is the biggest thing that’s happened in my whole life, I’ve been waiting for this,” Hoffman said. Waiting for the moment her dad could sit in front of the lens with her and her children, arms wrapped around and smiles were big. They met for the first time and the beautiful moment was captured on camera. “I just love them to death it’s a dream come true,” Harris said. Dressed in blues and greens, the new family took to Ojibway Island making memories that will last a lifetime. “They’re here, they’re not going anywhere,” Harris said. “I feel like I have our whole future ahead of us,” Hoffman said. Copyright 2018 WNEM (Meredith Corporation). All rights reserved.